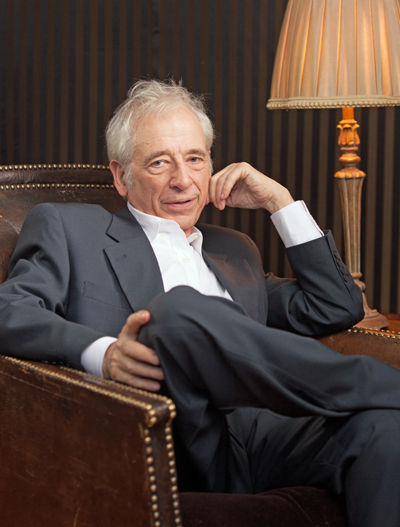 Austin Pendleton – "The First Ladies Coalition"
AUSTIN PENDLETON (Director) is a director, actor, playwright, and teacher of acting. He began directing (as an adult) when he directed his mother (Frances Pendleton) in a production of The Glass Menagerie at the community theatre (Trumbull New Theatre) which she helped to found. Soon after, he began directing professionally at the Williamstown Theatre Festival where he has directed many times since. His extensive directing includes: Chicago’s Steppenwolf Theatre (where he is a member of the Ensemble, and has frequently acted as well); Broadway (several Tony-nominated shows, including The Little Foxes, starring Elizabeth Taylor and Maureen Stapleton); off-Broadway (Classic Stage Company productions of Hamlet, Ivanov, Three Sisters, and Uncle Vanya, starring such people as Peter Sarsgaard, Maggie Gylenhall, Ethan Hawke, Jessica Hecht, and Juliet Rylance); off-off-Broadway, and such regional theaters as the Long Wharf, as well as the Whole Theatre Company (with Olympia Dukakis). His most recent New York acting appearances include City Girls and Desperadoes (by Pamela Enz, the Secret Theatre, LIC); Straight White Men (the Public Theatre, written and directed by Young Jean Lee); and, at the Public in Central Park, Mother Courage (with Meryl Streep) and Romeo and Juliet (with Oscar Isaac and Lauren Ambrose). His published plays include Orson’s Shadow, Uncle Bob (both produced in New York, around the country, and internationally), and Booth (starring Frank Langella in New York). He wrote the libretto for A Minster’s Wife, adapted from Shaw’s Candida, with music by Josh Schmidt, lyrics by Jan Tranen, conceived and directed by Michael Halberstam, commissioned & produced by the Writers’ Theatre of Glancoe, IL, and then at the Mitzi Newhouse Theatre in Lincoln Center, New York. He teaches acting at HB Studio in New York City.